The HomePod costs a whole lot more than an Amazon Echo Dot. HomePods went on sale in Europe this week, and I ordered one. It arrived the very next day. I tried it out, and then sent it back to Apple the day after that. Why? Because it’s a half-finished product. Siri is just as glitchy and annoying on HomePod as elsewhere. It doesn’t work properly with a Mac. And it’s not even a very good speaker. For the HomePod to work at all, Siri needs to be excellent, and Siri is far from excellent. In the Cult of Mac Slack chat, our own Luke Dormehl said that Apple completely missed the point of smart speakers when it made a high-end speaker without decent smart features. I disagree. Any Apple-designed hardware will always be beautifully-made, and high-end, even when it doesn’t work properly. So that part was a given. It’s not that Apple focussed on the wrong aspect of a smart speaker. Apple made the best smart speaker it could. It’s just that Siri isn’t anywhere near good enough, and it doesn’t seem like Apple knows how to fix it. Year after year, Siri’s ability to recognize and act on the simplest commands continues to be a bad joke. I use Siri to set a four minute time to steep my tea most days, and maybe a quarter of the time, it can’t even manage that. Forget the fancy home-control features, or the integration with calendars for a second. Siri can’t even reliably handle playing the right song, or skipping tracks, or other music controls. And with a commodity feature like that, Siri has to perform close to 100%. Imagine if the volume buttons on your iPhone only worked half the time, and you never knew which half? Would you accept that? The iPhone and iPad don’t need multi-user support, because they’re personal devices. But a speaker that anyone can talk to? That’s already a multi-user device. The lack of multiple accounts is bewildering. Remember, this isn’t a piece of beta software. It’s a flagship hardware product, and yet it is missing so many essential basics that it may as well be. If you watch a movie on your iPad, and stream the audio to an AirPlay speaker of any vintage, the audio will sync perfectly. Try that on a Mac with HomePod, and you’re out of luck. Even if you use iTunes to play the movie using its built-in AirPlay streaming, the audio will lag by a couple of seconds. But all of this could be forgiven if the HomePod was a decent speaker. It’s small, it looks good, and because t9’s airplay 2, it sufferers none of the connection glitches of other AirPlay speakers. It’s almost as reliable as having a wire, only without the wire. The problem is, it doesn’t sound good. Cranked up, the amount of sound and the controlled thunk of the bass are impressive. It really doesn’t seem like such a big sound could come from such a small package. But if you actually listen to the music, it’s not that great. Vocals and instruments can be harsh and splashy. When used quietly, or at regular home-listening volumes, the HomePod is no better than the six-year-old Libratone Zipp I still use. 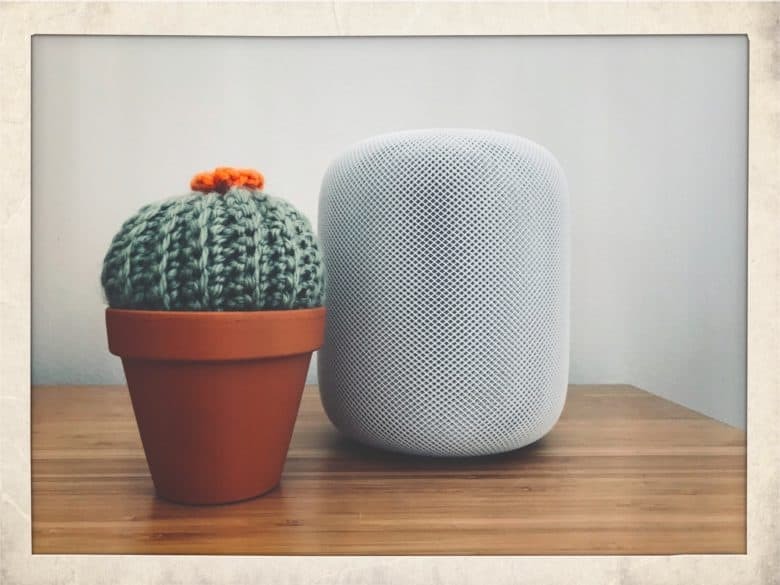 So far, just about every reviewer (including our own one) has mentioned the high quality sound produced by Apple’s $350 HomePod smart speaker. The only exception has been Consumer Reports, although they focused more on the sound of songs, rather than the HomePod’s impressive patented technology for filling the space. That’s right. The only reviewer that reviewed how the speaker actually sounds, instead of its specs, found it lacking. And remember, if you want to use it to its full audio potential, you need a pair of the things, which costs €700 where I live, or over $800. For that you can buy a seriously impressive pair of powered speakers that will blow HomePod away. No, they don’t have Siri, but they work with any device you own, and Siri doesn’t work anyway. The HomePod, then, is half-finished. It sounds ok, it does some smart stuff ok, and it fails to work properly with anything but an iOS device. Some of this — the lack of AirPlay 2 in the Mac, for example — is embarrassing enough. But the big problem is Siri. It’s like that movie Cool Runnings, which follows the Jamaican Olympic bobsleigh team. Siri is that team: Far behind the competition, and seemingly incapable of ever catching up, and yet Apple keeps sending her out anyway.